What’s in PDF Studio 10? /General /What’s in PDF Studio 10? The new Optimizer allows to change image quality (compression, color space and resolution) as well as remove unused objects. Other Options: Flatten comments, compressing uncompressed streams, merging duplicate fonts and so much more! “Touch Mode” makes PDF Studio 10 more user friendly on touch screen enabled PC and Tablet devices including Windows Surface Pro! Improvements to our proprietary Word to PDF converter, including support for WMF images used for mathematical equations and formulas. Option to export the overlay comparison as a new PDF, with the 2 drawings included as layers. New PDF Studio Print Dialog. New options for printing: printing specific pages, reverse pages, show or hide comments, etc… This will give more possibilities for printers / drivers that don’t support all features, especially on Linux. 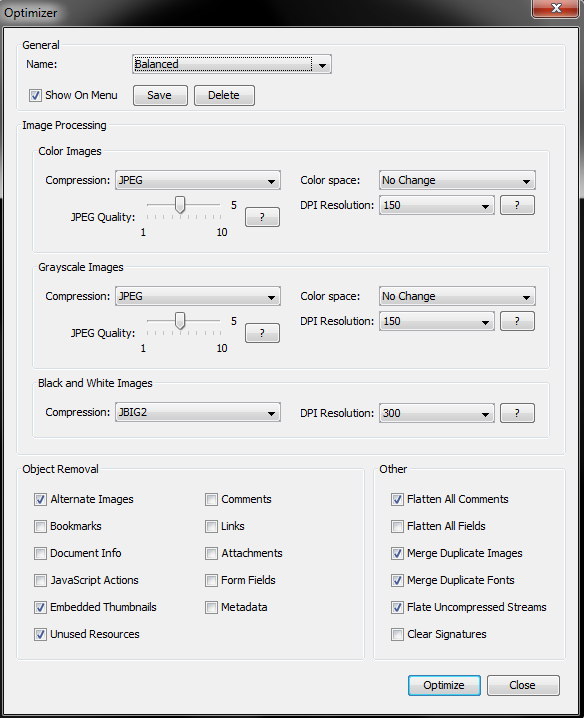 Improved PDF creation options when scanning. Added a “Reverse Interleave” insert option useful to scan double-sided when scanner does not support duplex. Linux – Fix scanning issue with certain scanner drivers reverting from the selected scanning resolution to the default resolution, set at 75DPI. 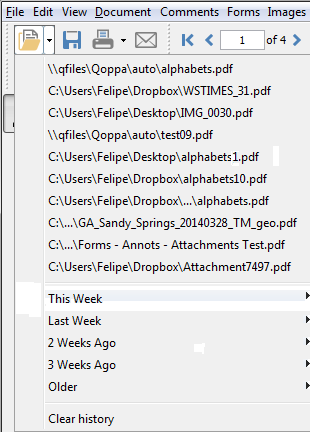 Improved Recent File List will now keep 500 files in the history, with easy access to the 10 most recent files. New user preference allowing to restore page view and magnification when reopening a document. Look under Preferences -> Display. 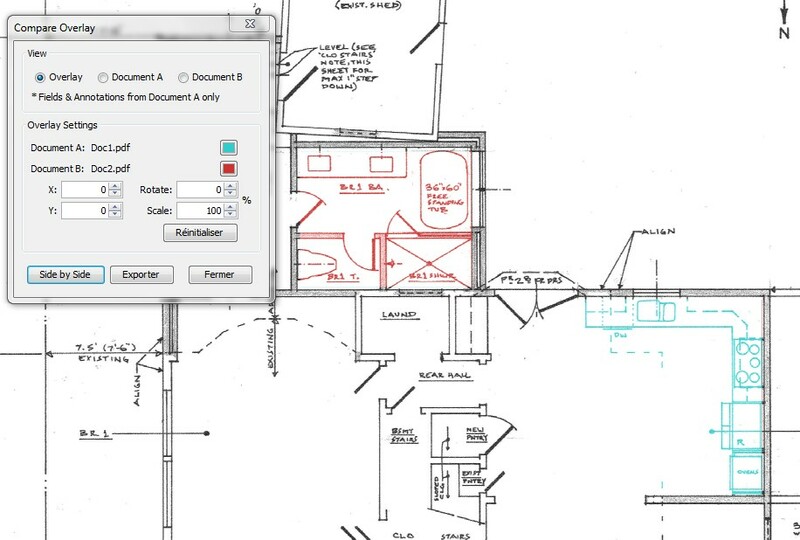 Measurement annotations improvements: new option to display area and perimeter measurements on the page. Edit multiple annotations at once through the properties dialog (in version 9, this was only possible through the quick property toolbar). New “Text Property” toolbar for interactive objects, separate from the visual property toolbar, customizable with bold and italic. 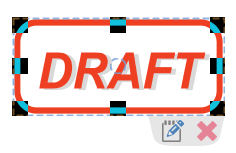 New option in Redaction to add text to the redaction annotation with properties for font, font size, auto resize, color, alignment, and repeat text. 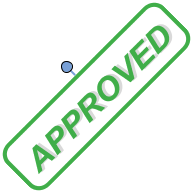 The text is added on top of the redacted rectangle when the redaction annotation is burnt or applied. Look under the properties dialog or under the Redaction tool properties under Preferences -> Comments. Split by blank scanned page – set the tolerance levels for blank pages to easily split scanned pages that may still have small marks on them. Also see new entries for “Copy to New PDF” and “Move to New PDF” under the mouse context (right-click) menu. 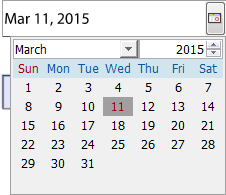 Linux – Support for Thunderbird email application or customize to open any other email application. Fixed issue when reading EchoSign digital signatures when reading the signer and expiration date info. Linux – Added Chrome to the list of supported browsers for opening links. PDF Studio will open the first browser found on the machine, among the following: “firefox”, “opera”, “konqueror”, “epiphany”, “mozilla”, “netscape”, “google-chrome”. The issue with this approach is that it does not use the default browser but it is the most reliable approach for opening a browser across all Linux distributions. New function to “rasterize” a PDF, which consists in re-creating the document using images of the pages instead of vector commands. Look under Images -> Rasterize PDF. It’s a shortcut for exporting a PDF to images and then re-importing the images into a new PDF. Search dialog user interface was a bit improved. Also, upon opening the dialog, the search box will now default to text currently selected in the document, if any. A problem with slower speed on subsequent searches was also resolved. Under document properties, xmp metadata will now show in an expandable, collapsible tree. Mac – ability to drag and drop supported image files and Word documents into PDF Studio app for a conversion to PDF on the fly.